The following general terms and conditions (hereafter T&Cs) apply to orders placed through the website at www.twil.fr and the Twil mobile app. These T&Cs are available at all times on the website and in the app, and all orders placed through the site are therefore subject to these T&Cs. Before you place your order, you declare that you have understood and accepted these general T&Cs, and also the specific T&Cs that apply to wine futures, available on this page. Confirmation of your order therefore constitutes acceptance of these general T&Cs and the specific T&Cs applicable to wine futures. 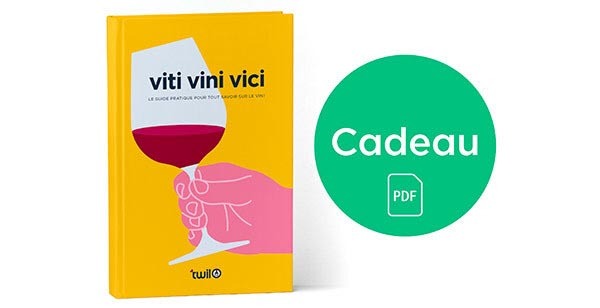 In conformity with article L3342-1 of the French Code of Public Health, which forbids the sale of alcohol to minors, only adults aged 18 and over may create a Twil account or place orders with Twil. 4.1 All of the products offered for sale on the Twil website and app are available to adults residing in mainland France. The sale of wine may also be available to residents of Corsica or overseas with additional charges for delivery and customs and excise duties, depending on the destination. 4.2 Any order confirmed by the customer, for any number or any product, entails automatic acceptance of these T&Cs. The T&Cs applicable are those in force on the day of the order confirmation. 4.3 In the absence of proof to the contrary, the data recorded by Twil at the point of transaction constitute proof of the whole transaction(s). 4.4 In conformity with French law, orders destined for private customers are limited to 90 litres (equivalent to 120 bottles of 75 cl each) of non-sparkling wine or 60 litres (80 bottles of 75 cl each) of sparkling wine. Mixed-crate orders are limited to 90 litres (equivalent to 120 bottles of 75 cl each). 4.5 Orders placed with a seller who provides their products through Twil remain subject to confirmation by the latter. [TRANSLATOR’S QUERY: IS THIS CORRECT? “THE LATTER” = TWIL.] The seller undertakes to offer only products in stock and to remove any unavailable products from the site as soon as possible. In the eventuality of unexpected unavailability of a product after the buyer’s order has been placed, the seller will inform the buyer, and the buyer’s account will not be debited for the product. The sale will therefore be cancelled. 5.1 Prices advertised as part of sales events and promotions apply only during the period of the promotion as indicated on the website and app, subject to stock availability. 5.2 Except where indicated, all prices are given in euros (€), including all taxes and excluding delivery charges. A detailed invoice is provided by email when you place your order. This invoice is expressed in euros (€) including all taxes. 6.1 The payment method is bank transfer on the S-Money platform; an order will be considered confirmed only after payment has been received. 6.2 Payments can be made by card. For any order where the total exceeds your card limit, please contact us to organise a transfer. 6.3 Orders paid for by card (credit card, Visa, MasterCard), via a secure payment method, are debited at the point of online payment. 6.5 Customer payments are received through S-Money’s online payment terminal on the basis of a technical and secure banking solution operated by S-Money. S-Money is authorised in France as an electronic payment service, regulated by the Autorité de Contrôle Prudentiel et de Résolution (61 rue Taitbout, 75436 Paris Cedex 09, France) and listed as authorised to conduct its activities in France (the list is available at www.acpr.banque-france.fr). 6.6 Online payment security. The website and app are equipped with a payment system secured by the S-Money server. When customers make a payment online they are automatically redirected to S-Money. At no time does Twil have access to the customer’s bank details, and Twil therefore cannot use the customer’s card number to make any subsequent debits from the customer’s account. 7.1 It is possible to use a discount code on the whole or part of your order, depending on the nature of the discount voucher (specific products, minimum purchase, type of product etc.). In case of fraudulent usage of a discount code, Twil reserves the right to cancel the order in question. 7.2 To apply a discount code, you should enter the code information in the relevant field of the order confirmation page before paying for your order. No refund will be offered on orders where the discount code was not entered before the order was placed. 7.3 Fraudulent usage of a discount code includes (but is not limited to): creation of multiple accounts with the same delivery address and/or contact details or IP address for the purpose of activating multiple discounts; cancellation of a previous order for the purpose of placing a similar order using a discount code; repeated inputs, whether manual or automated, for the purpose of guessing discount codes that are on the system but have not yet been published. 8.1 Several delivery methods may be available to the customer, varying by the method of receipt of the package(s) or the timeframe for delivery. 8.2 If our carrier is obliged to return the ordered product(s) to us because of an incorrect or incomplete delivery address, the end customer will bear all additional costs arising from the error or incompletion. 8.3 Packages are delivered in accordance with the terms and conditions of the carrier. The carrier is responsible for the package from the moment they take custody of it. Twil is not responsible for any incidents arising during transit. 8.4 Depending on the nature of the merchandise and the quantities ordered, Twil reserves the right to choose a different carrier, on condition that we first inform you of the general terms and conditions of delivery for the goods delivered or ordered. In the latter case the customer will have the opportunity to cancel the order and obtain a full refund within 30 working days. 8.5 Customers have the right to return delivered products, subject to the conditions set out in item 10 below. 8.6 Published delivery times are given in working days. Orders are delivered within 10 working days on average. 9.1 Customers are invoiced for delivery charges at the rates in force at the time they place their order. Delivery charges may be reviewed periodically. 9.2 Delivery charges are calculated on the basis of selected mode of delivery (personal address or collection point), type of product bought, and country and town of residence. 9.3 All of the products ordered on the site can be delivered to mainland France. Wines can only be delivered to Corsica or overseas with special conditions and charges. 10.1 Until the price has been paid in full, Twil retains responsibility for the organisation of the sale of goods on the site. Full payment entails the transfer of ownership; however, the buyer becomes responsible for the goods at the moment of delivery. The transfer of ownership entails the transfer of risk. 10.2 If full payment for goods has not been received by the agreed date, Twil will cancel the order, at the customer’s cost and the customer’s risk. 11.1.1 All requests to return a product on the basis of “error” must be made as returns requests addressed to customer services, within 14 clear days from the date the customer received the product. When starting the returns procedure, we ask the customer to give us a precise written description along with a copy of the invoice. 11.1.2 Products that have been the subject of an “error” during the preparation of the order will be replaced by identical products, or will be refunded if unavailable. 11.1.3 Returns costs in cases of error will be charged to the seller. It is the customer’s responsibility in such cases to obtain proof of sending for the items returned. Such proof may be constituted by a postage receipt for a registered package or a document from the carrier who is transporting the returned item. No other form of proof will be accepted. 11.2.1 All requests to return a “faulty” product must be made as returns requests addressed to customers services, within 6 clear months from the date the customer received the product. When starting the returns procedure, we ask the customer to give us a precise written description along with (a) photo(s) of the fault in question. 11.2.2 Products that the end customer judges or identifies as being faulty will be replaced by identical products, or will be refunded if unavailable. Nevertheless, the definitive nature of the agreement to exchange and/or refund for a faulty product is conditional on examination of the product by Twil or the product’s seller. If on investigation it is found that the fault is the result of inappropriate use of the product, inappropriate handling or modification of the product’s original features by the end user, the product will be eligible for neither refund nor exchange and will confer no right to compensation. Twil therefore reserves the right to reverse its decision to give a refund, exchange or credit note if the customer’s description of the fault does not correspond with our own observations or if the fault is attributable to the end user. The customer has the right to refuse the exchange of an identical product. In such cases Twil will reimburse the purchase cost including delivery charges paid when the order was placed. 11.2.3 If a faulty product cannot be replaced with an identical product, or a product of equivalent value and quality, Twil will refund the purchase cost including delivery charges paid when the order was placed. 11.2.4 Faulty products to be returned must be returned in their original packaging along with the faulty or damaged parts and a legible copy of the invoice. On receipt, Twil may conduct verification checks if there is any doubt as to whether the items returned correspond to the invoice attached and the returns number. 11.2.5 The cost of returning faulty products will be the liability of the seller and will be refunded to the customer by the seller on presentation of supporting documents after the returned goods have been received and checked. It is the customer’s responsibility in such cases to obtain proof of sending for the items returned. Such proof may be constituted by a postage receipt for a registered package or a document from the carrier who is transporting the returned item. No other form of proof will be accepted. 11.2.6 If the returns procedure outlined here is not followed, or if the returns request does not meet the conditions required for an exchange, return or credit note, the request will not be successful and Twil will not accept any responsibility in this respect. 11.3.1 To return a product, the customer can contact customer services. However, the customer services team is not authorised to receive product returns, and only products that have followed a strict returns procedure will be accepted. Customers who wish to start a returns procedure for any reason are asked to communicate their request to customer services. 11.3.2 Customer services will contact the customer by email to inform them whether their request for an exchange has been accepted or rejected, and to tell them that they have been issued with a credit note or refund. If an exchange, credit note or refund has been agreed, the customer must return the faulty product to the address given in our reply message, writing the returns number given to them by customer services on the package clearly and legibly. If the product was the object of a direct sale, the returns address may differ from Twil’s head office, and may therefore entail the return of the product direct to the producer. 11.3.3 Twil reserves the right to make verification checks if there is any doubt as to whether the items returned correspond to the invoice attached and the returns number. 11.3.4 The customer will be liable for the cost of returning the product. In cases where a product is being returned because it has been ordered in error, it is the customer’s responsibility to obtain proof of sending for the items returned. Such proof may be constituted by a postage receipt for a registered package or a document from the carrier who is transporting the returned item. No other form of proof will be accepted. 11.3.5 If the returns procedure outlined here is not followed, or if the returns request does not meet the conditions required for an exchange, return or credit note, the request will not be successful and Twil will not accept any responsibility in this respect. 11.4.1 In accordance with articles L121-16, L121-19, L121-20 and L121-20-1 of the French Consumer Code, products can be returned within 14 working days from the date of receipt of delivery. When the 14 days expire, the right of withdrawal falls void with immediate effect. The products must be returned in accordance with the returns procedures outlined in section 11.3 above. Twil will then proceed to issue a refund or, with the customer’s agreement, an exchange (article L121-20-1). 11.4.2 It is the responsibility of a customer who wishes to exercise their right of withdrawal to obtain proof of sending for the items returned. Such proof may be constituted by a postage receipt for a registered package or a document from the carrier who is transporting the returned item. No other form of proof will be accepted. 11.4.3 In any event it is imperative that the products are returned in their original packaging, intact, clean and whole (in unmodified, resaleable condition), along with a legible copy of the invoice. 11.4.4 Under article L121-21-8 of the French Consumer Code, the right of withdrawal accorded to mail order customers do not apply to futures sales. 11.4.5 In cases where a customer is exercising their right of withdrawal, the customer is liable for the costs of withdrawal. When the customer is returning items ordered in error, it is the customer’s responsibility to obtain proof of sending for the items returned. Such proof may be constituted by a postage receipt for a registered package or a document from the carrier who is transporting the returned item. No other form of proof will be accepted. 11.5.1 If the return is accepted by Twil according to the conditions and timeframe set out in these T&Cs, the returned products will be refunded within a maximum of 14 days from the date of the customer’s withdrawal. This refund will not give rise to any payments of interest, unless the refund is made after the expiry of the 14-day deadline and on condition that the delay is attributable exclusively to Twil. 11.5.2 The refund will be made electronically, by crediting the customer card or account from which the payment received by Twil was made. Twil puts private customers in direct contact with producers. However, Twil cannot be held responsible for the accuracy, truthfulness or trustworthiness of information provided by producers. The producer has sole responsibility for the content of their online shop front. 13.2 Necessary personal data is collected for the purposes of processing the customer’s order and is intended for internal use by Twil. However, the data may be shared with third parties if the customer has given their prior consent by ticking a preferences box to this effect. 13.3 The automated processing of personal data has been declared to France’s Commission Nationale de l’Informatique et des Libertés, declaration number 2017324. The Twil website and app are creative works protected by intellectual property law. The website, the app and their components are the exclusive property of Dantes SAS. The totality of the website’s and app’s components, including the texts, appearance, illustrations, photographs, directory structure and formatting, excluding public documents and accompanying details, are the exclusive property of Dantes SAS. To this end, their representation, reproduction, embedding, circulation or recirculation, in whole or in part, is forbidden. Any person doing so without the prior and express authorisation of the rights holder risks the penalties for forgery set out under the French Intellectual Property Code. The same restrictions apply to the database contained in the website and app. Hyperlinks to the Twil website and app can only be made with Twil’s prior written consent. Twil is not responsible for the content of sites that link to the Twil website or app. Like all websites and mobile apps, Twil has to conduct network maintenance updates and procedures. Twil undertakes to conduct these maintenance operations outside working hours and for limited periods. 16.1 All of the products sold by Twil are given full online descriptions so that the customer has all the necessary information before making their purchase. Before placing an order the customer always has the option to contact customer services and ask any questions about the product. 16.2 In accordance with French common law, Twil will be liable to its customers solely with regard to proven errors that are said to give rise to harm or damage in the course of execution of its contractual obligations. However, Twil cannot be held responsible for indirect harms such as those noted hereafter, for whatever reason: financial loss such as loss of earnings, loss of expected savings, costs associated with cancellation or withdrawal, disturbances to image, expected earnings and/or profits and/or opportunities. Twil also cannot be held responsible for insufficiently strong passwords, errors, unavailability of information and/or tools, or the presence of viruses on its website. 16.3 In any event, in cases where Twil’s responsibility in respect of products delivered by Twil is invoked, the parties agree that the compensation for which it is liable will be limited to a sum equal to the sum of the last invoice issued by Twil in respect of the products delivered (or not delivered) to the customer. 17.1 These T&Cs and the actions resulting therefrom are subject to French law. 17.2 All users of the website are asked to acquaint themselves with the relevant laws in their own country, particularly in relation to any provisions of these T&Cs which might contravene such laws. 17.3 In cases of litigation arising from the interpretation or execution of these T&Cs, the parties undertake to seek an amicable solution. If no such amicable solution can be reached, the dispute will fall exclusively under French jurisdiction. This site is created by Dantes SAS, a company with capital of €2399. Company registration number Paris 803 694 918. Intracommunity VAT number FR95803694918. Registered office: 3 rue Eugène Carrière, 75018 Paris, France. Office: 31 rue Nollet, 75017 Paris, France. Director of publications: Erwann de Barry. Site hosted by: Online SAS. Address: BP438, 75366 Paris Cedex 08, France. Company registration number Paris B 433 115 904. Phone +33184130000. All prices include tax and VAT except where indicated otherwise. We advise all our visitors and customers of the following: Abuse of alcohol can damage your health, please drink responsibly. Alcohol should not be consumed during pregnancy. It is forbidden to sell alcohol to minors. You declare that you are of legal age and competence to make purchases on this website."